How do I fix Plugged Cooling Fins? Posted January 26, 2017 · How do I fix Plugged Cooling Fins? The PLA plastic had wrapped around and into the cooling fins. With all that plastic in the cooling fins (and the wiring), how do I clean it out? I hope we do not need to replace the extruder. Background: I have printed the same item twice before and cleaned the glass with alcohol before each print. 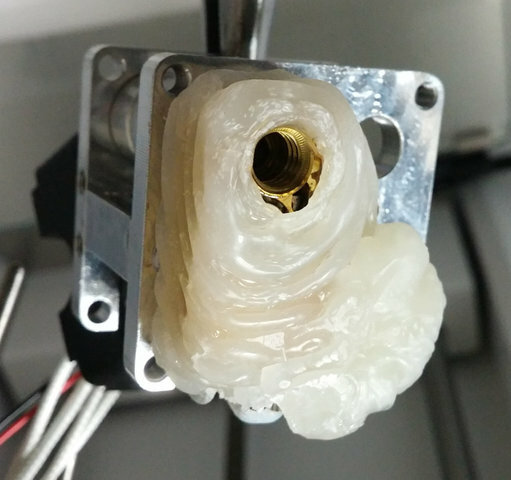 I'm not looking for advice on adhesion, just how to get back to being able to print. Posted January 26, 2017 (edited) · How do I fix Plugged Cooling Fins? Posted January 27, 2017 · How do I fix Plugged Cooling Fins? Thank you. I will give that a try when I get the chance. Posted February 1, 2017 · How do I fix Plugged Cooling Fins? Okay. I got it fixed, but that tutorial did not help. I had to heat it up, remove the nozzle and the fan assembly. 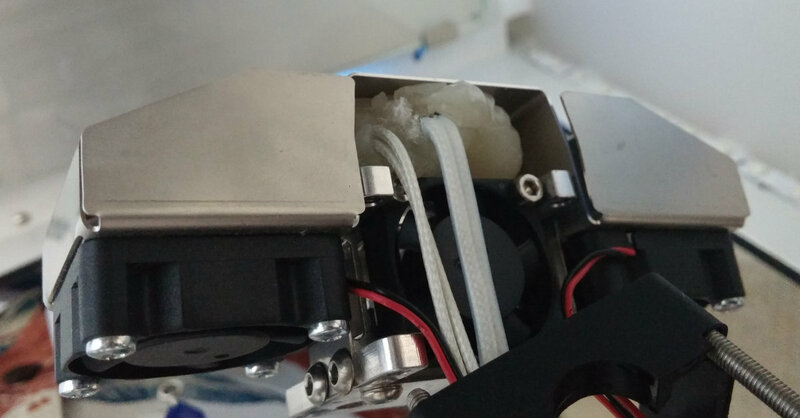 The plastic had completely surrounded the extruder both above and below. At temperature (200C), I was able to carefully pry the plastic out (being very careful of the wires). The dental tools I have were very handy for this.